Plot Synopsis: In the mid-1950s, a young husband and wife become human guinea pigs for Project Samson, a top-secret experiment exposing them to massive amounts of atomic bomb radiation. 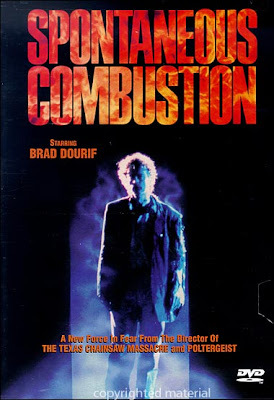 After the couple dies in a shocking "accident," their infant son grows up to be a man (Brad Dourif) whose rage can cause people to suddenly explode into flames. The government's murderous experiment may be over… but one man's use of his horrific "gift" has just begun. Starring: Brad Dourif, Cynthia Bain, Melinda Dillon.